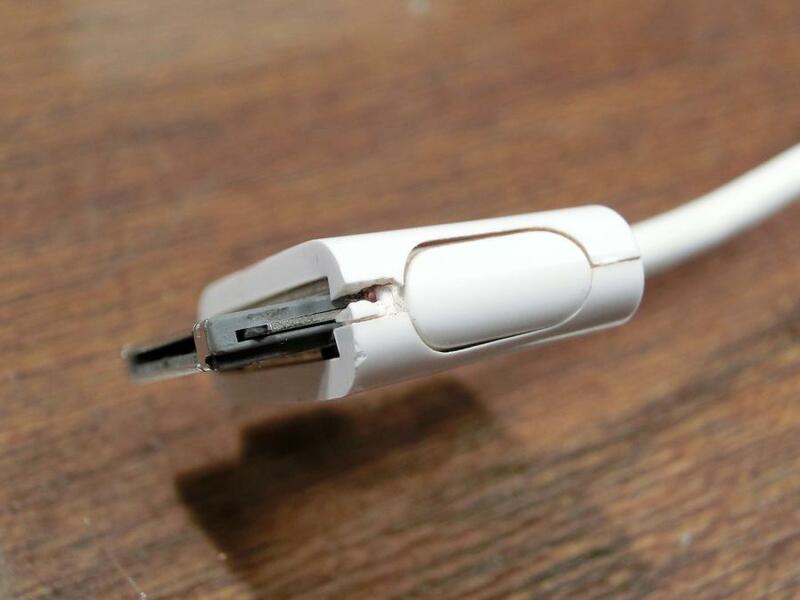 After years of daily use, this iPhone cable was starting to show its age. In the photo below you can see where the plastic shell had cracked and was coming apart. The electrical connections are still fine, and we did't want to buy another one, so we fixed it! This was another quick and easy repair. 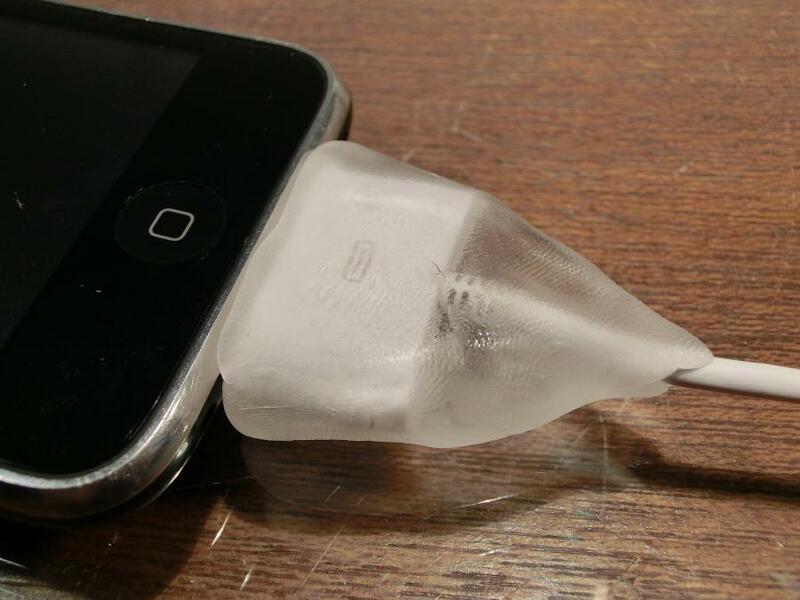 We plugged the cable into our trusty iPhone 3GS, then formed warm Plastimake around the plug. 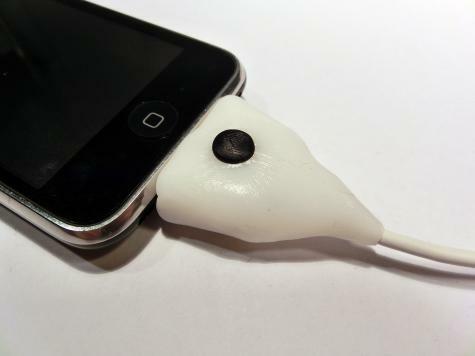 Because the iPhone plug is directional, we added a little ball of black Plastimake so we know which side faces the front.